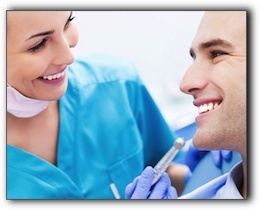 First off, if you need dental treatment, sedation dentistry allows you to sleep during the procedure. There are several levels of sedation – you can remain conscious or take a trip to la-la land. Schedule a consultation with us for more details about sleep dentistry. If you have a bad memory of hurting for days after a procedure, relax. Improved painkillers, lasers, and advanced techniques have reduced the pain experienced by most patients. If you need extensive treatment, we will create a pain management plan to ensure that you remain comfortable. We can perform procedures much quicker with today’s extremely precise dental instruments. Healing times for oral surgery are also much shorter. Today’s dentistry is not your father’s dentistry. We invite you to discover why you shouldn’t avoid the dentist any longer. We provide general and cosmetic dentistry. Make an appointment with Rotem Dental Care in Toms River NJ today! ‹ Are Floss Picks As Good As Regular Dental Floss?